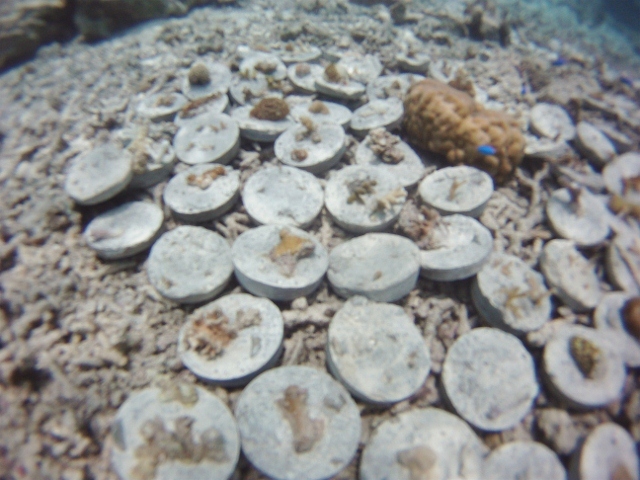 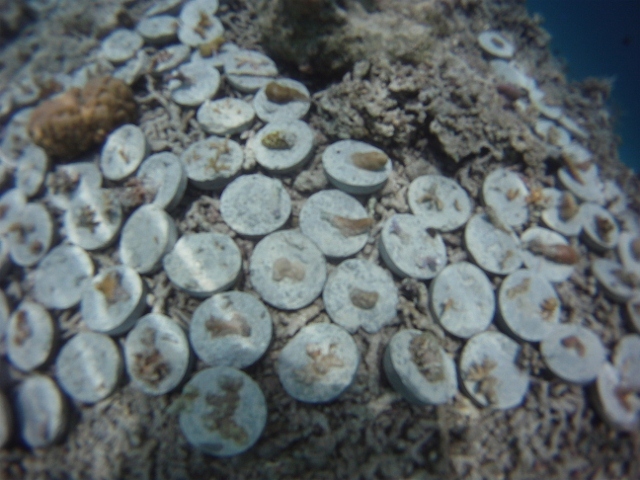 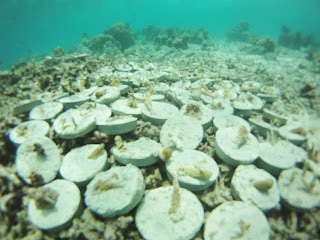 The previous post on coral planting described how we made the cement. I am going to show what happened to the coral blocks underwater. 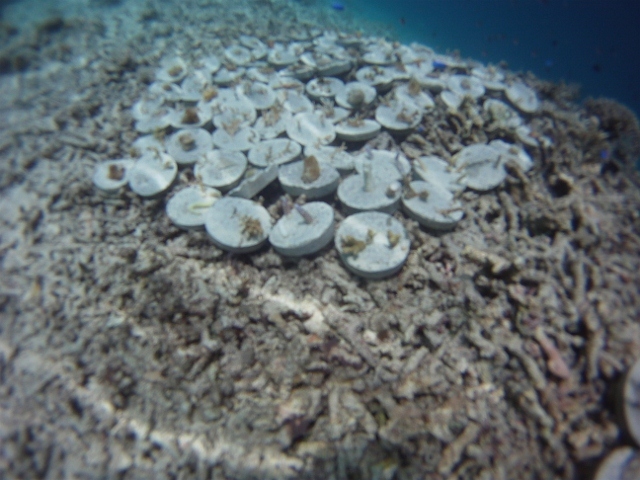 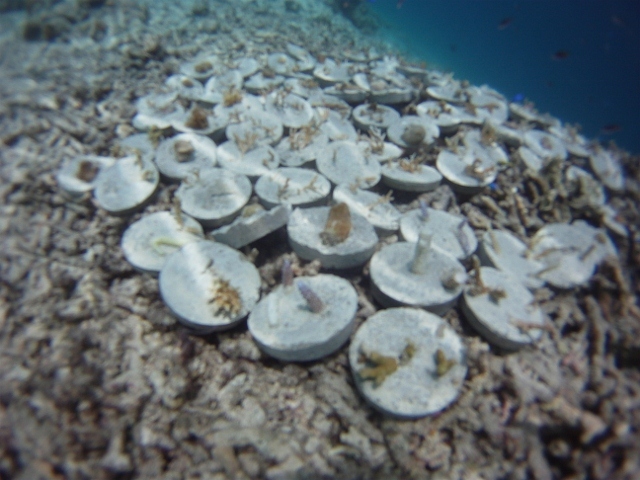 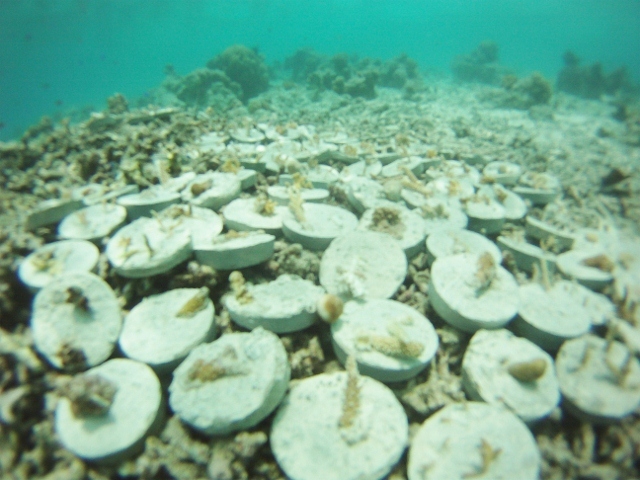 These pictures show the new hard coral blocks on the reef crest in early April 2012. 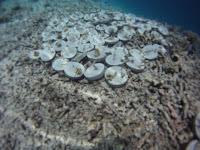 Look at the empty rubble areas between the corals we planted. 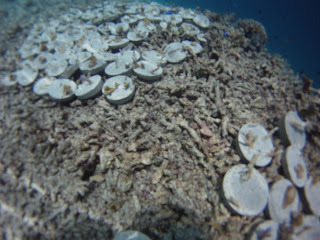 The corals are doing well apart from occasional crown of thorns starfish that try to eat the coral fragments.